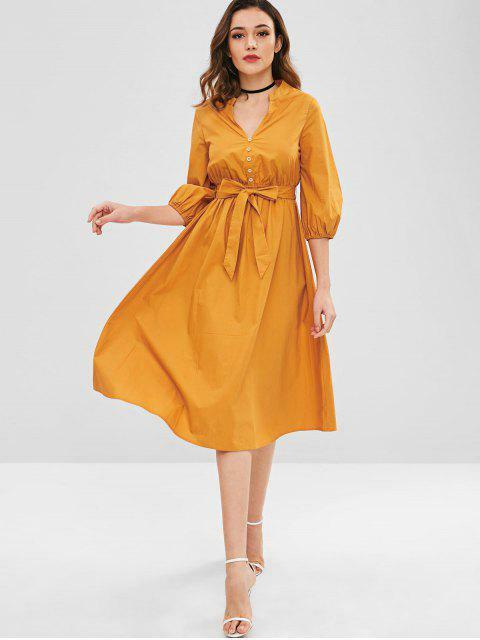 [25% OFF] 2019 ZAFUL A Line Midi Dress With Belt In ORANGE GOLD | ZAFUL ..
Great for daily wear, this midi dress boasts a shirt dress style of simple fashion design making it well received. The pretty A-line silhouette is styled with a self-tie belt like a beautiful bowknot at the front to slim the high-rise waist. And the plunging collarline makes it easy to show off your alluring collarbone.